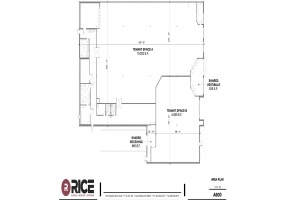 RICE REAL ESTATE SERVICES is a full service, commercial real estate brokerage company specializing in commercial sales, leasing, and development. Backed by Rice Companies, one of the only firms in Minnesota to offer in-house integrated architectural, construction and maintenance services, Rice Real Estate Services brings over 60+ years of industry knowledge to our real estate clients enabling us to offer an unparalleled level of service, attention to detail, and unique communication tools designed to keep our clients informed and engaged every step of the way. 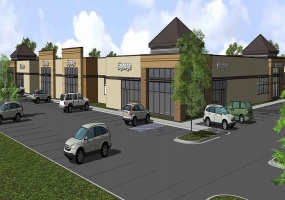 Contact us today and let us show you how we are redefining commercial real estate. 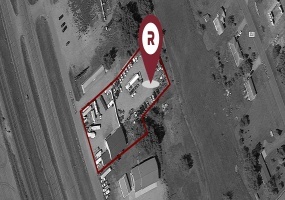 Location Summary:East 23 Office/Warehouse Property is located off Quail Road with easy access to HWY 23 (East/West), 2 miles from US – HWY 10. 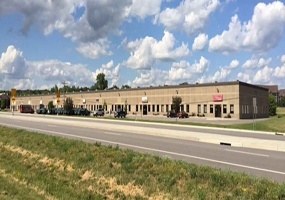 This centralized location makes this an excellent property to attract workforce with exposure to major north/south and east/west highways. 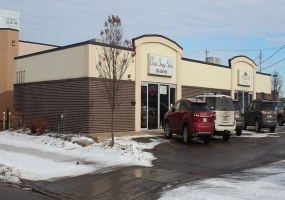 Located minutes from downtown St. Cloud.Building Summary:Buildings consists of 24. 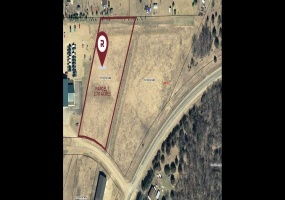 Property Description:1.54 acre out lot tied to grocery anchored Coborn’s Grocery is being offered for Sale in Elk River, MN. 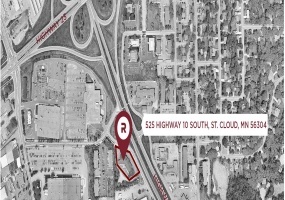 Site holds superior visibility and easy access from HWY 169, just 2.5 miles from US-HWY 10 and HWY-101 interchange, major thoroughfare to commuters from the NW metropolitan area.Elk River is located +/- 30 miles northwest of Minneapolis/ St.
SAUK CENTRE - GROCERY ANCHORED OUT LOT:Located directly in front of Coborn’s Grocery & Ace Hardware with easy access and high exposure. 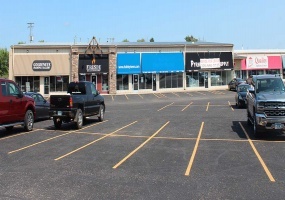 Neighboring business include Walmart, McDonald’s, Holiday & various other retailers.Sauk Centre is part of the St. Cloud MSA, 2018 population of 4,414 residents with an average H.H income of $47,998. 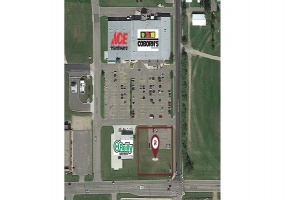 GLENCOE - GROCERY ANCHORED OUT LOT:Ready to build site located as Out Lot for Coborn’s Superstore in Glencoe, MN. 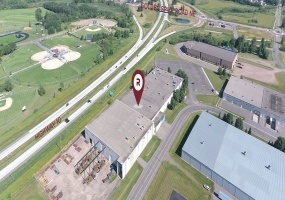 This 2.68-acre parcel is zoned commercial and may be divided.Glencoe is located 50 miles west of Minneapolis/ St. Paul, where it enjoys a stable community with a great mix of industry and commerce. 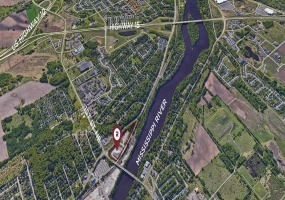 Current population is just under 6,000 people and median HH income is $53,387 (2018). 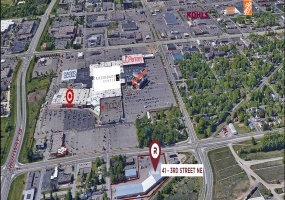 LOCATION SUMMARY:3rd Street Plaza is located next to Crossroads Regional Mall, just north of Target and Macy’s across from 3rd Street. 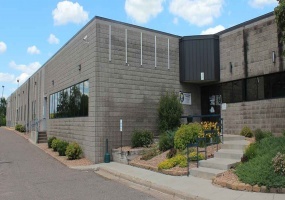 Superior visibility & exposure, high traffic counts and strong demographics make this an outstanding opportunity to locate your business.PROPERTY SUMMARY:Space consists of 6,877 sf with 980 sf of mezzanine. 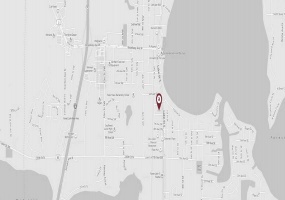 LOCATION SUMMARY:Property is located in Montevideo, MN , a community with a total population of 5,400 residents, 140 miles west of Minneapolis, MN. 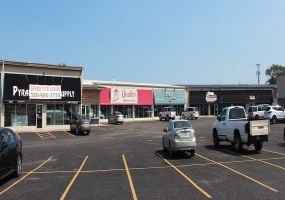 Property is located directly off MN-7, the main corridor through City which commands excellent retail exposure and access suitable for single purpose or multi-tenant use. 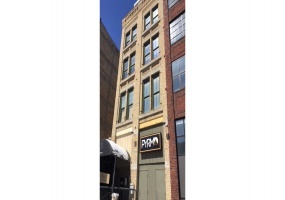 Features:Located on Division Street, St. 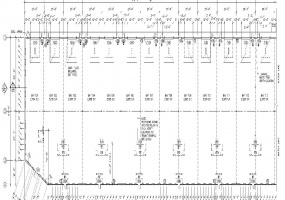 Cloud, controlled access, pylon signage on controlled intersection.Traffic Counts:31,500 vpd on Division Street. 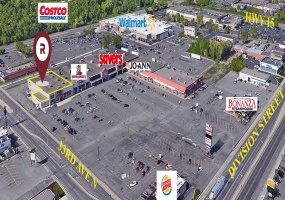 26,500 vpd on 2nd Street S, 13,300 vpd on 33rd Ave N.Tenants:Center Tenants include; Chuck E. Cheese’s, Lumber Liquidators & SaversArea Retailers:1 block from Crossroads Regional Shopping Center (890,000 sf GLA). 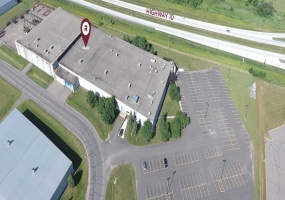 PROPERTY DESCRIPTION:Light Industrial zoning in a retail type setting provides this professional multi-tenant facility superior exposure, competitive rates and flexible options suitable for a wide variety of users.PROPERTY LOCATION:Located directly off Benton Drive in Sauk Rapids. 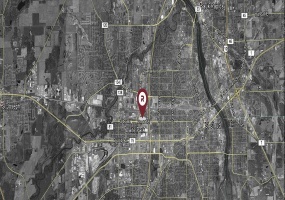 With easy access to US 10 and HWY 15, minutes from downtown St. Cloud. LOCATION:South St. 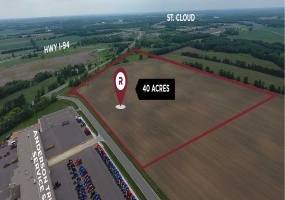 Cloud, I-94 - Opportunity Drive Exit, St. Cloud’s premier Industrial ParkHIGHLIGHTS:Excellent centralized location with easy access to I-94, 50 minutes to Twin CitiesDESCRIPTION:40 Acres, I-3 Industrial zoning, ready for development with utilities to site; natural gas, electric & water/ sewer. 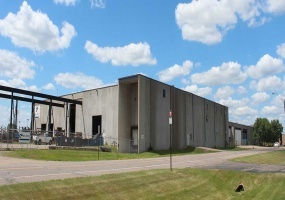 PROPERTY DESCRIPTION:84,000 SF Industrial building, situated on 9.64 acres and is being offered for Sale or Lease in Sauk Rapids, MN. 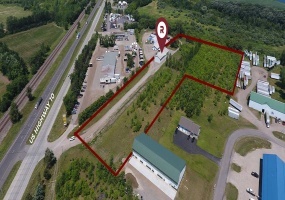 Tenant in place until December 31st, 2018.PROPERTY LOCATION:Excellent exposure to US HWY 10, located in Sauk Rapids Industrial Park. 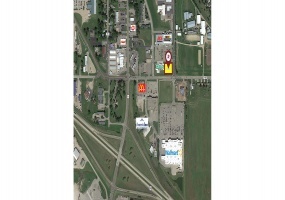 Property location provides easy access to HWY 23 and HWY 15 (East/ West to North/ South) service. 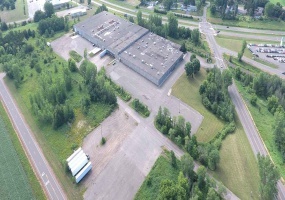 Property Description:Industrial/Manufacturing building consisting of 23,550 sf situated on 1.47 acres or property. 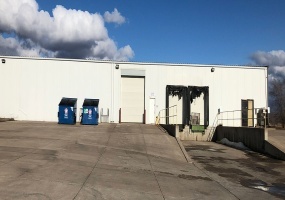 Precast/concrete construction and ballasted roof in excellent condition. 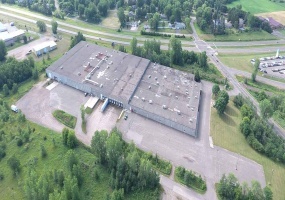 Year built 1996 with expansion in 2000. 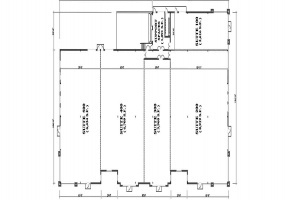 1,800 sf of office with 1,800 sf of mezzanine space. 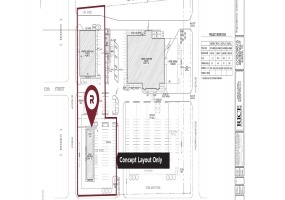 Ample parking for up to 32 stalls.Building Information:Heavy Power, 800 amp/120-280volt 3 phase. 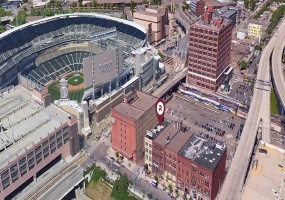 HIGHLIGHTS:Property offered for SALE next to Target Field, Northstar Rail and the North Loop. 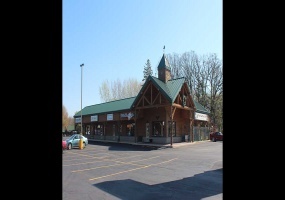 Property offers multiple uses such as; mixed use/multi-tenant, restaurant, retail, owner occupant or re-development.PROPERTY DESCRIPTION:4 story building, 15,182 sf total including basement situated on 0.08 acres of property. 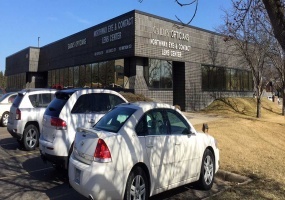 Building was built in 1984 and has undergone multiple upgrades. 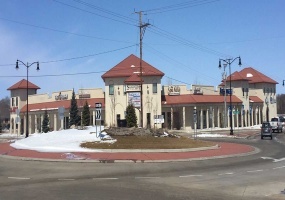 LOCATION:3rd Street Plaza is located next to Crossroads Regional Mall, across 3rd street from Target and Macy’s. 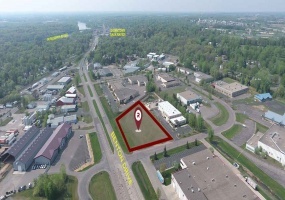 Superior visibility, high traffic counts and strong demographics make this an outstanding investment opportunity. 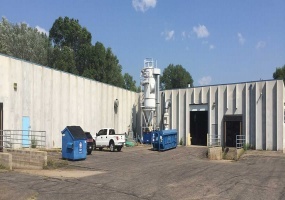 Property is 100% leased with rents ranging from $5-12 psf Net, comparable properties in the immediate area range from $10-16 psf Net. 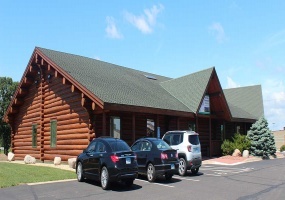 LOCATION SUMMARY:Stone Path Village is located off of heavily traveled Pinecone Road in Sartell. 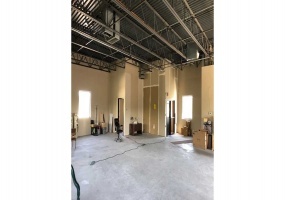 This professional retail /office center provides outstanding visibility, easy access and is surrounded in a heavy concentration of households, schools & commerce. 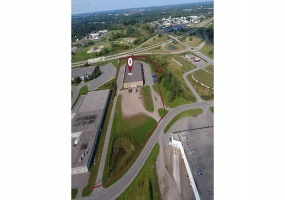 Strong area demographics in fast growing Sartell make this an outstanding opportunity to locate your business. 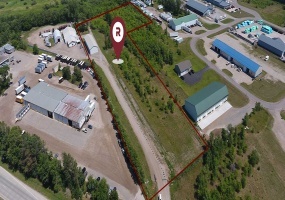 PROPERTY DESCRIPTION AND OVERVIEW:Two (2) parcels of commercial/industrial land listed for SALE in fast growing Clearwater, MN. 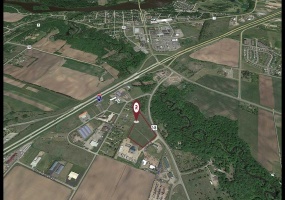 Property is located blocks from I-94 with visibility from CR 145. 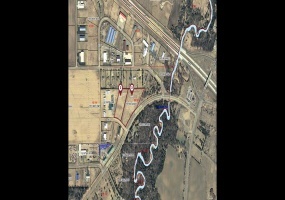 Parcel 1 consists of 2.70 acres and parcel 2 consists of 4.80 acres. Each parcel can be sold separately or packaged together. 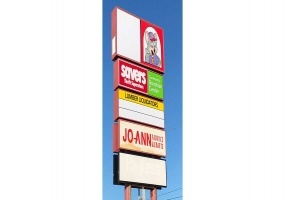 LOCATION SUMMARY:Division Street Retail is located directly off of Division Street in St. Cloud. 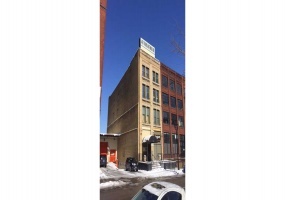 Property is within walking distance to Downtown. 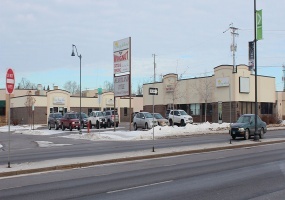 High visibility, heavy traffic counts and strong demographics make this an outstanding opportunity to locate your businessPROPERTY SUMMARY:Two (2) suites available immediately for Lease ranging from +- 1,000 sf to 1,750 sf. 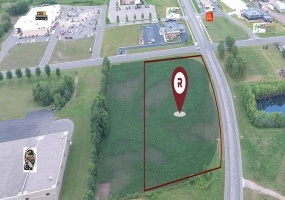 Development Land Pad (“shovel ready”)Outstanding opportunity ready for development in Royalton, MN. 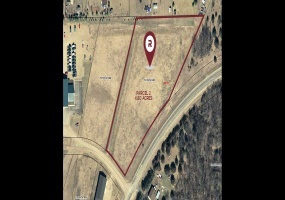 Shovel ready site located directly off of US HWY 10 just north of Treasure City. 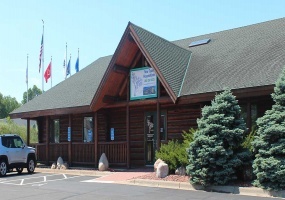 US HWY 10 is one of the most highly traveled thoroughfare’s in Central Minnesota and serves as the main tourism connection to the Brainerd Lakes are. This 2. 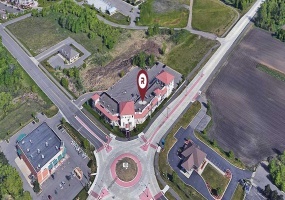 LOCATION SUMMARY:3rd Street Plaza is located next to Crossroads Regional Mall, just north of Target and Macy’s across from 3rd Street. 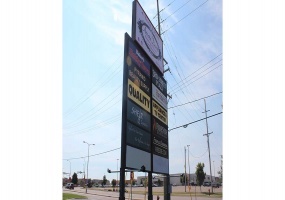 Superior visibility & exposure, high traffic counts and strong demographics make this an outstanding opportunity to locate your business. 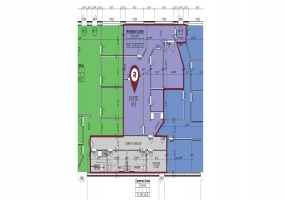 PROPERTY SUMMARY:Suites range from 4,000 sf up to 12,000 sf. 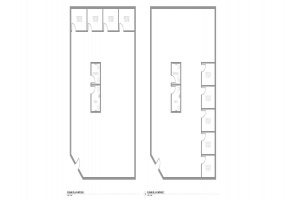 PROPERTY DESCRIPTION & OVERVIEW:OUTSTANDING VALUE. 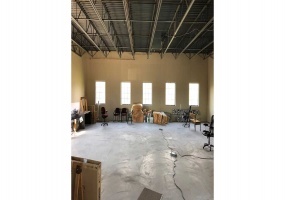 This well constructed warehouse and additional land is offered for SALE in St. 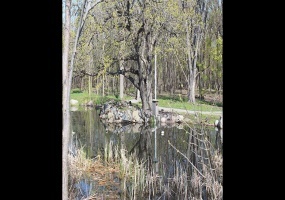 Cloud, MN located directly off of heavily traveled US-HWY 10. 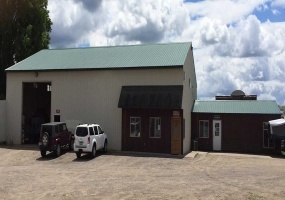 Total building square footage is 4,800 sf of warehouse which is situated on 7.80 acres of land. 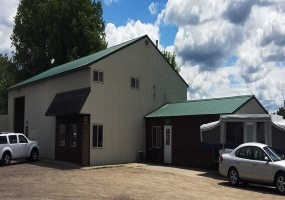 PROPERTY DESCRIPTION & OVERVIEW:This well constructed frame building is offered for SALE in Royalton, MN located directly off of heavily traveled US-HWY 10. 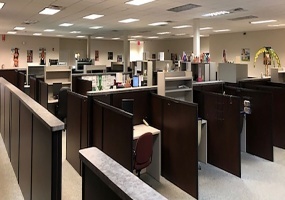 Total building square footage consists of 6,000 square feet situated on 1.40+/- acres which can allow for an additional 8,000+/- sf expansion. 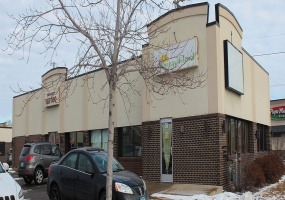 Property frontage allows excellent opportunity for prime frontage and has . 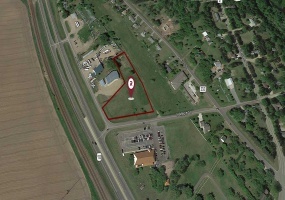 PROPERTY DESCRIPTION & OVERVIEW:4.95 acres located off of Quail Road and HWY 23 east in St. Cloud just 2 miles from US-Highway 10. 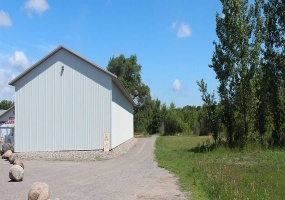 Site is secured with 12’ metal fence bordering the perimeter of the property. 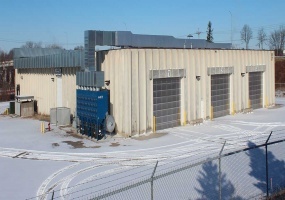 Turn key option for automotive, equipment or storage users. 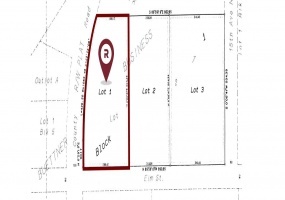 Property is zoned Commercial/Industrial. 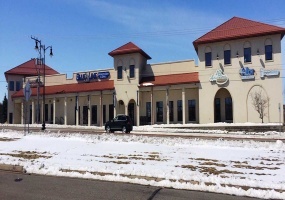 LOCATION SUMMARY:This premier office/retail center is located off of heavily traveled CR 75 which connects with Division Street, Waite Park/St. Cloud. 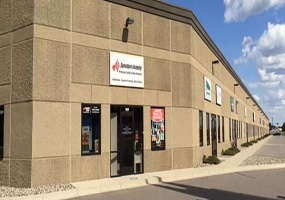 This location is ideal for professional office users or service retailers seeking easy accessibility and excellent exposure .PROPERTY SUMMARY:1,342 SF of professional office/retail space available for lease. 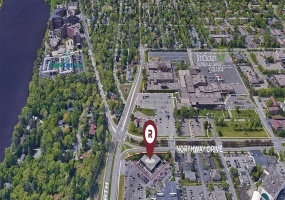 LOCATION SUMMARY:Property is located in the midst of St. Clouds Medical Arts District with direct access and visibility from Northway Drive. 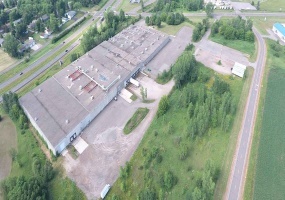 Site is located within blocks of the St. 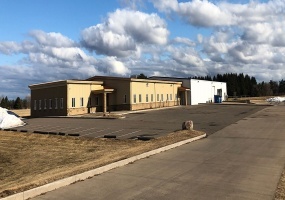 Cloud Hospital, St. 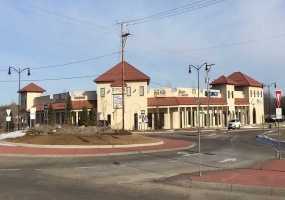 Cloud Technical College and the newly constructed YMCA. 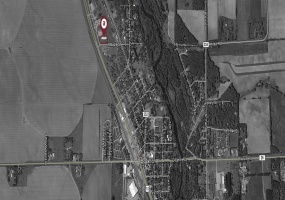 LOCATION SUMMARY:Sartell Manufacturing is located off of Benton Drive within 1 minute of US Highway 10 (4 lane) & Highway 15. 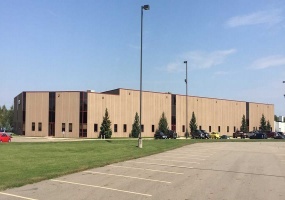 This centralized location makes this an excellent property to attract workforce, visibility and exposure to major north/south and east/west highways.PROPERTY SUMMARY:State of the Art manufacturing facility consisting of 30,000 total sf situated on 10.60 acres. 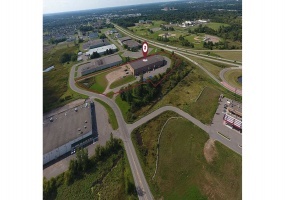 HIGHWAY 10 OFFICE/ RETAIL CENTERThis premier office/retail center is located off of heavily traveled HWY 10 just south of HWY 23-Division Street. 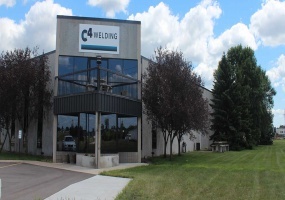 This location is ideal for office users seeking excellent exposure, easy access to the north metro and close proximity to Downtown St. Cloud.1,365 minimum-5,990 maximum sf of professional office/retail space available for lease. 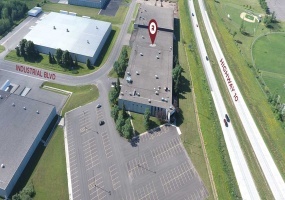 GATEWAY BUSINESS PARK *3,000 SF AVAILABLE*Gateway Business Park is St. Cloud’s premier office/ warehouse/ flex space. 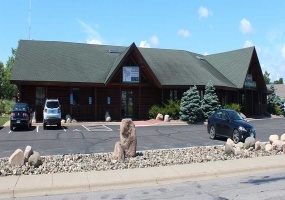 Located 1 mile from I-94 and 5 minutes from Downtown St. Cloud. 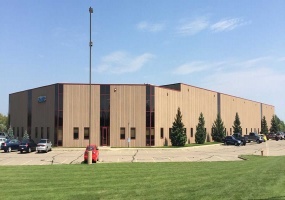 This 75,000 SF facility is divided into individual office/ warehouse suites ranging from 3,000 SF to 15,000 SF.Frontage from heavily traveled CR 75/ Roosevelt Road gives this space great exposure. 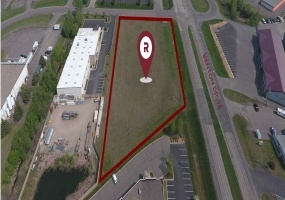 SAUK RAPIDS DEVELOPMENT OPPORTUNITYOutstanding opportunity to develop or build to suite. 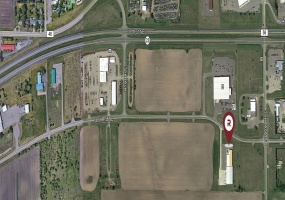 Located directly o of HWY 10 and Benton Drive in Sauk Rapids, MN. 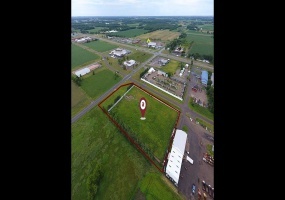 Easy access and frontage make this site an exceptional place to locate your businessNeighboring business include Rice Companies, Budweiser, Fastenal and the DNR Central MN office.This 2.5 +/- acre parcel is zoned commercial/light industrial. 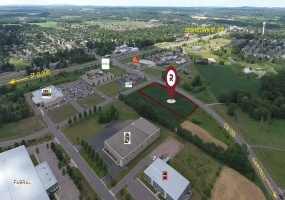 Development Land Pad (“shovel ready”)Outstanding opportunity to own or build to suite. 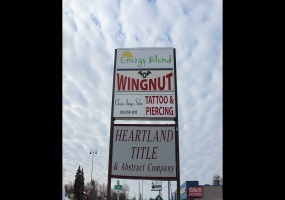 Located next to Coborns Superstore in fast growing Saint Joseph, MN. 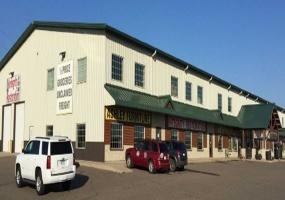 Neighboring businesses include; CentraCare Clinic, Central Minnesota Credit Union and McDonalds.CR 133 is one of the most highly traveled County Roads in Stearns County and serves as a connection between North St.
Former Quad Graphics FacilityMultiple opportunities for multiple uses. 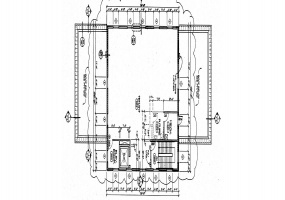 This pre-cast constructed building consists of 238,290 total SF situated on 22.5 acres. 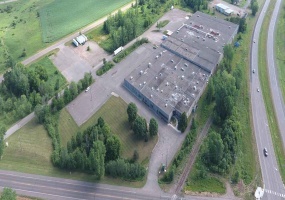 Property can be used as office/warehouse, distribution and heavy or light manufacturing. 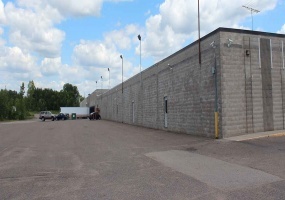 The building has 12 dock doors, multiple drive-in doors and is rail served. 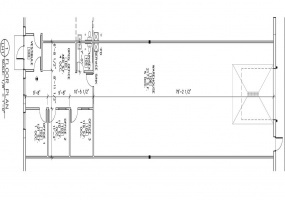 Column spacing is 45’ and clear height ranges from 16’ to 22’. 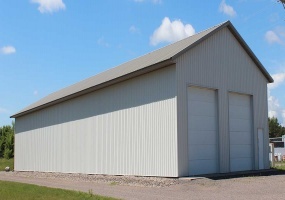 **WILL DIVIDE**This excellent quality pre-cast facility was built in 1988. 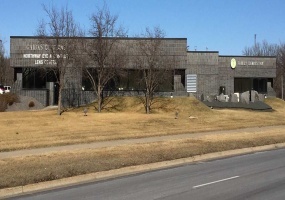 The building received a 25,000 square foot renovation in 1990, an additional 45,000 square feet was added in 1992 and the roof was replaced in 2011. All three sections of the building have separate electric panels. 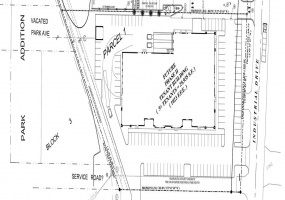 This 12.50 acre lot would permit a modest expansion to the south.